Ian Gladue was watching his mother cut up dry meat in her kitchen when he said it hit him: "Holy smokes, I'm gonna make dry meat." Gladue is the Edmonton manager of the food company called Pȃnsȃwȃn, a Cree term for an Indigenous style of smoked meat. In keeping with the Cree tradition, Gladue uses bison meat which is smoked for three days using the same technique he learned from his mother, which she learned from her parents and they learned from theirs. "People are always searching for something truly authentic from Canada," he told CBC's Radio Active on Tuesday. "They travel around here, they try different foods, but they don't ever get to really try something authentic." 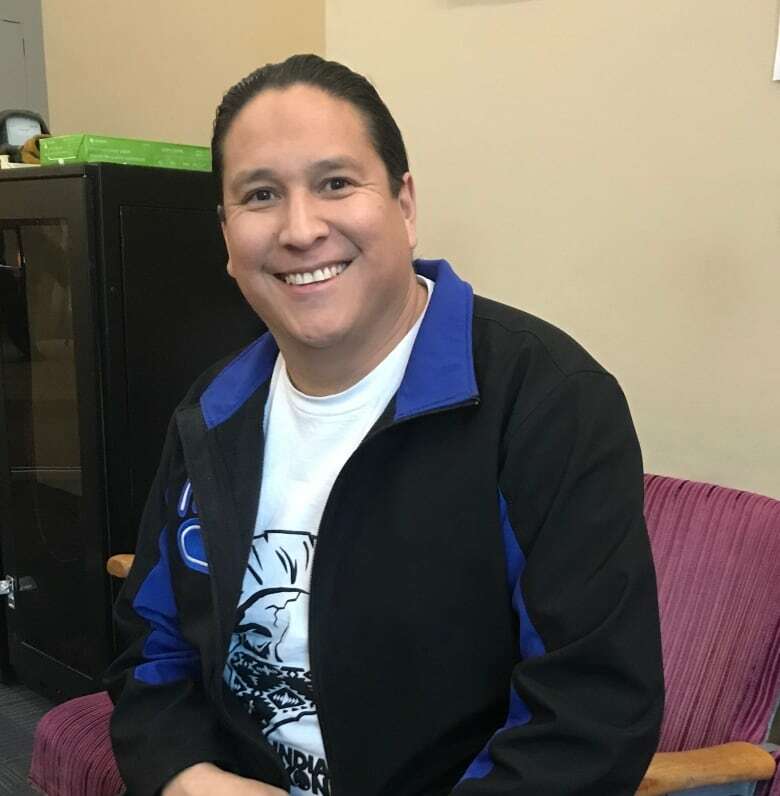 In 2012, the member of the Bigstone Cree Nation, near Wabasca, opened Native Delights, an Edmonton-based Indigenous cuisine service that offers catering services and operates food trucks in the summer months. But he said he felt it wasn't enough. "I was looking for something a bit more deep-rooted and I was really searching for something that really was meaningful and touching to all of Canada," he said. Dry meat is traditional food in First Nations, Métis and Inuit cultures. Pȃnsȃwȃn means "thin sliced meat" in Cree, but it has different names in each tradition and the meat varies to include moose, caribou and whitefish. The company's slogan is "Before beef jerky, there was Pȃnsȃwȃn." Gladue referred to it as the "grandaddy" of jerky, noting that European settlers in North America modelled spiced beef jerky on dry meat methods. Unlike modern jerky, dry meat is smoked for more than three days rather than just a couple of hours. Gladue recreated traditional smoking methods indoors in his facility in Leduc. Gladue started selling Pȃnsȃwȃn dry meat in 2015, and has since expanded to selling in hundreds of Canadian stores, including Safeway and Sobey's locations in Edmonton. Pȃnsȃwȃn is made solely with bison meat and smoke, and yet it can outlast many preservative-filled products on grocery store shelves. When the Canadian Food Inspection Agency approved his product for global sales in December, food scientists were baffled by how his product could remain shelf stable without any additives. "That was really something mind-boggling for them," he said. "A lot of the questions came up to like, 'Where was this program designed?' or 'Who built this program?' [The answer is] our people, our elders designed this for thousands of years." But before Gladue could sell it to stores, he sought elder approval. An important part of the process, he said, was to "go to our traditional sweats and and talk to the elders and explain to them what we're trying to do here and how we're trying to preserve and restore our culture in a very positive way." In January, he created new packaging for his product, with an "elder approved" seal on the front of the bag, which he said he plans to start shipping this year to buyers in Europe and the United States. Gladue said he is now working on expanding his line with pemmican and smoked fish, which he is currently testing in his facility.